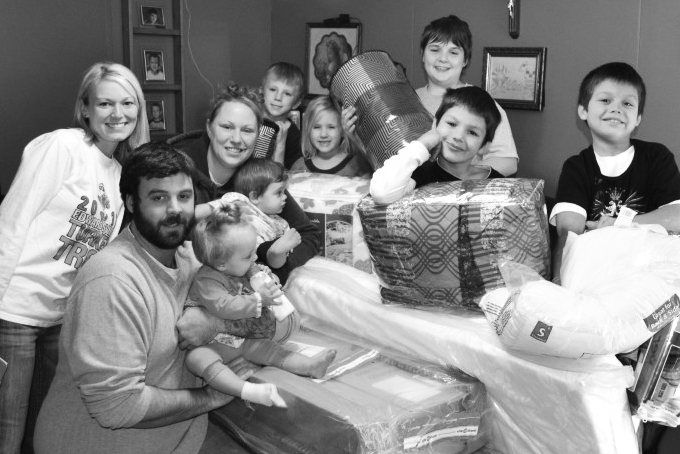 In addition to their own three kids, this couple generously opened their home to their niece and nephews due to a dire family emergency. Suddenly with seven kids to care for – some with medical needs — ENIN stepped in quickly to provide baby and household items. The organization provided new bunk beds, dressers and bedding to provide sleeping space for each child, making the kids’ rooms both functional and fun. And, what fun for us to meet this great family and excited kids!